Lunch Clubs include but are not limited to: Lego Robotics, Chess, Choir, Studio Art, School Newspaper, Yearbook, Student Council, Book Clubs, and more! The Aquinas Program is an enrichment program offered to 6th-8th Grade students who maintain excellent academic standards. Students qualify for the program by maintaining an excellent record, receiving at least two recommendations from teachers, and exhibiting leadership potential. Over the course of the year, our Explorers of Learning complete an independent and multi-disciplinary project after school that is presented to other school and district judges at a Diocesan Aquinas Expo. In order to expand student participation in computer science, we have made Code.orgs educational resources available at our school to offer our students the opportunity to learn an important skill. Learn more about these?programs at code.org. We consistently strive to enrich our curriculum by incorporating outside programs and professionals into our academics. Below are some of the organizations with whom we have partnered. Saint Saviour Catholic Academy offers free swim instruction to 2nd Grade students through the Prospect Park YMCAs Swim for Life program. Students in this program receive two gym periods during school hours, one at our Academy and one at the YMCA. 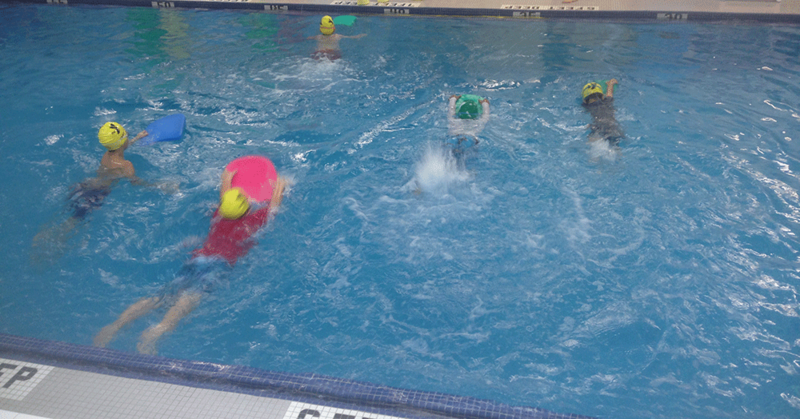 Swim for Life is the YMCAs collaboration with the New York City Department of Parks and Recreation. The focus of the program is to teach students basic aquatic skills to make them safer in and around the water. Our Academy also offers 6th-8th Grade students a free multi-sport physical education enrichment program through our partnership with the Park Slope Armory YMCA. YCIW is an organization dedicated to?promoting music composition in the school classroom. Through the combination of a progressive curriculum, technological resources, online composer mentoring, and live performance, YCIWs goal is to help every kind of learner regardless of experience engage in music composition as a basic part of his/her education. For additional information on the Young Composers & Improvisers Workshop, go to yciw.net. Watch the video below for an example of a 5th Graders composition performed live by a professional ensemble at the Church of Saint Saviour. Our Academy has partnered with Stages on the Sound for numerous Performing Arts Residency Programs. Each year two to three grades participate in their programs. Most recently our 4th and 5th Grades learned the process of making a documentary all while learning numerous skills such as how to conduct an interview and operate video camera equipment. Visit stagesonthesound.com to see more. Brooklyn Connections is a school outreach initiative based out of Brooklyn Public Library’s Collection. Our signature partnership program offers 8th Graders rare access to original archival materials while completing a customized, standards-based project. In addition, Brooklyn Connections supports NYC educators and students through professional development workshops, school visits, and online resources. Learn more about the program here. Brooklyn Mompost is led by Dr. Annie Hauck-Lawson a Brooklyn native and Saint Saviour Elementary School graduate. They offer experienced and local service that promotes everyday urban green living through composting workshops and home gardening. Check out www.brooklynmompost.com for more information.